The 2015 Honda Accord Hybrid is powerful and efficient, turning daily drives from a chore into a treat. At Middletown Honda, we’re truly excited about this phenomenal new model, and we’re eager to demonstrate its superiority to potential competitors. Enter the 2015 Volkswagen Jetta Hybrid — will the Jetta be able to do for Middletown and Mechanicstown drivers what the 2015 Accord Hybrid does? Hybrid: Staring at $29,305,* this is a standard model with extraordinary features, providing Bluetooth HandsFreeLink and an SMS text message function to keep you in the loop, while also giving drivers a dual-zone climate control system. Hybrid EX-L: Starting at $32,055,* the EX-L makes everything luxurious, with a leather-wrapped steering wheel and an opulent ten-way power driver’s seat with power lumbar support and two-position memory. Hybrid Touring: Starting at $35,055,* the Touring trim makes every drive effortless. You’ll enjoy adaptive cruise control and a Honda satellite-linked navigation system with voice recognition and FM traffic. SE: Starting at $27,645, this entry-level Jetta Hybrid uses the same engine and motor as other models, while also promising keyless access and a dual-zone automatic climate control system. SEL: Starting at $30,245, this trim improves on safety by adding a rearview camera. You’ll also get 16-inch wheels, so this trim looks a little better than other Jetta Hybrid models. SEL Premium: $31,895, this high-end Jetta Hybrid provides more luxurious seating, and a Fender premium audio System, which comes with 8 speakers and a subwoofer. The Jetta is slightly cheaper, but the 2015 Honda Accord Hybrid will give you much, much more for your money. The 2015 Accord Hybrid and the 2015 Jetta Hybrid use one engine each for all trim levels, so it’s easy to see which one comes out on top for both power and efficiency. Power: Volkswagen has decided to provide the Jetta Hybrid with a 1.4L four-cylinder engine that works with an electric motor to create a maximum of 170 hp. 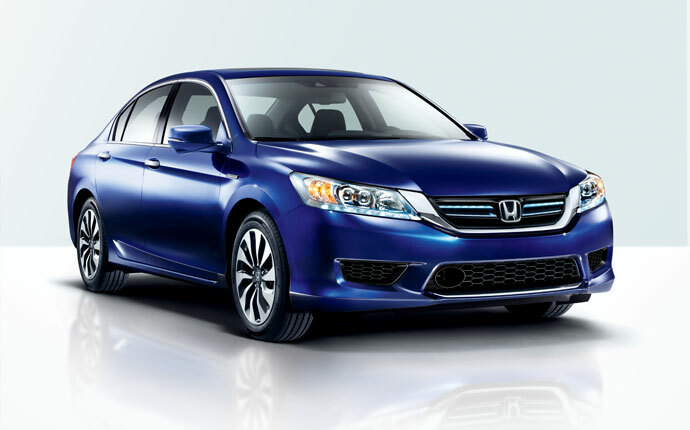 In contrast, the Accord’s 2.0L four-cylinder engine and electric motor can put you behind up to 196 hp of power. The Accord roars ahead. Efficiency: The Jetta Hybrid will give you a perfectly acceptable 42 mpg city/48 mpg highway/45 mpg combined, while the 2015 Honda Accord Hybrid is capable of a stunning 50 mpg city/45 mpg highway/47 mpg combined. ** That’s a difference that you’re bound to notice. For a stronger engine that provides greater overall efficiency, Middletown drivers should go for the 2015 Accord Hybrid. The Accord doesn’t just give you more in terms of mileage and features — you’ll also get far more space to kick back and enjoy your drive.Honda knows that sedans need to serve the whole family, so they’ve provided ample room in the new Accord Hybrid. With up to 103.2 cubic feet of volume for passengers to relax in — compared to the tighter 94.1 cubic feet provided in the 2015 Volkswagen Jetta Hybrid — we’re confident that your passengers will be pleased. That doesn’t come at the expense of storage space, though. With the Accord Hybrid, you’ll get a significantly larger maximum cargo capacity than you would in the Jetta. Honda gives you room to spare. Hill Start Assist: This feature activates when the car is on a certain gradient level, and holds the vehicle stationary as drivers apply the throttle for a safer start on the steepest of hills. 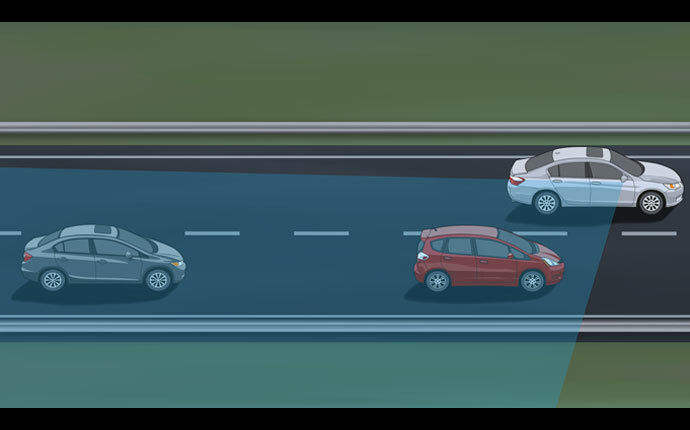 Forward Collision Warning: To guard you from potentially serious frontal impacts, a small camera detects vehicles in your path. If the system determines that you’re at risk, auditory and visual alerts will warn you. The 2015 Volkswagen Jetta is a worthy competitor, but the 2015 Honda Accord Hybrid gives you greater efficiency, more interior space, and some fantastic features. It’s worth the short trip from Mechanicstown, NY to visit Middletown Honda and drive the 2015 Honda Accord Hybrid.